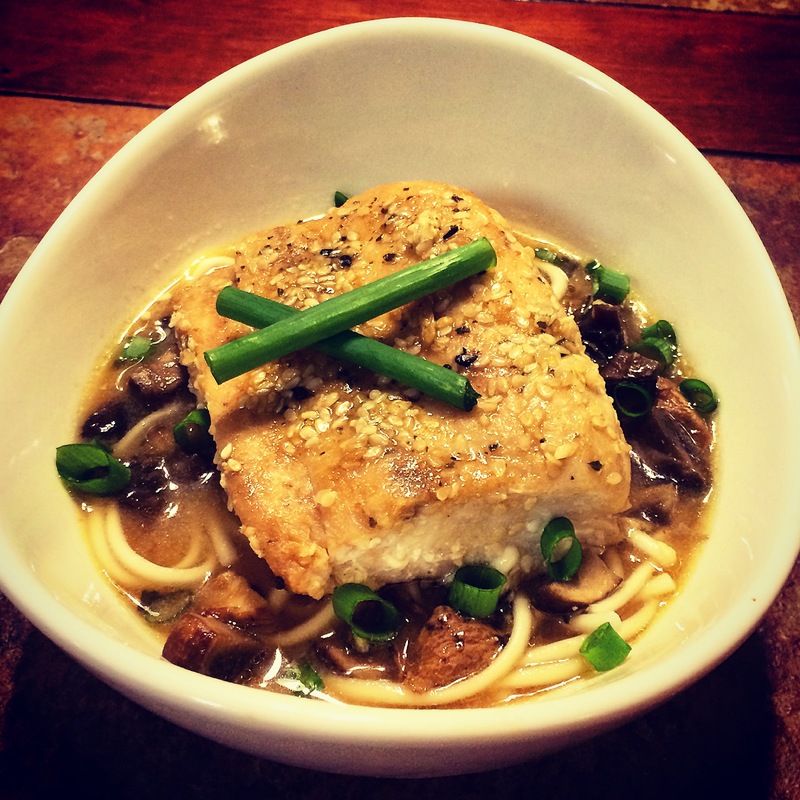 A lot of my recipes are born by making changes to a classic, or by cravings. 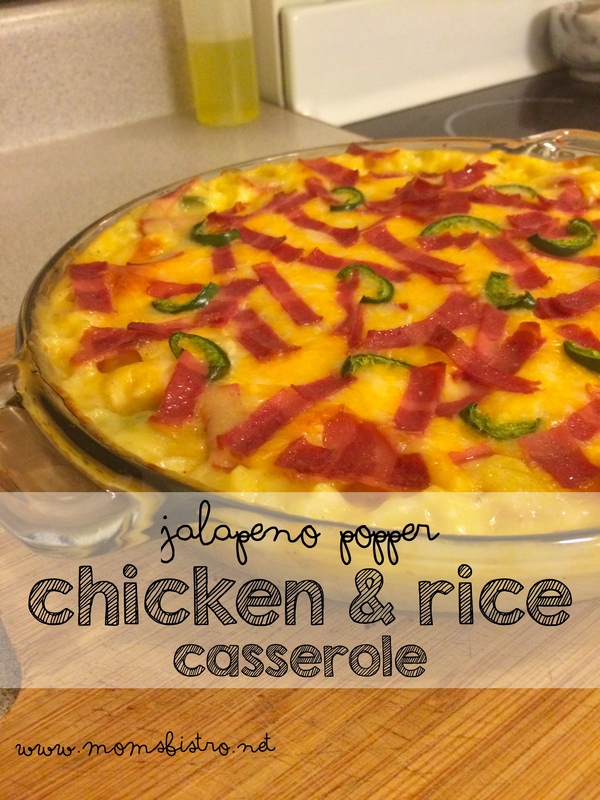 The later is usually the case, which is how this Jalapeno Popper Chicken and Rice Casserole was created. Jalapeno poppers are one of my favorite appetizers. 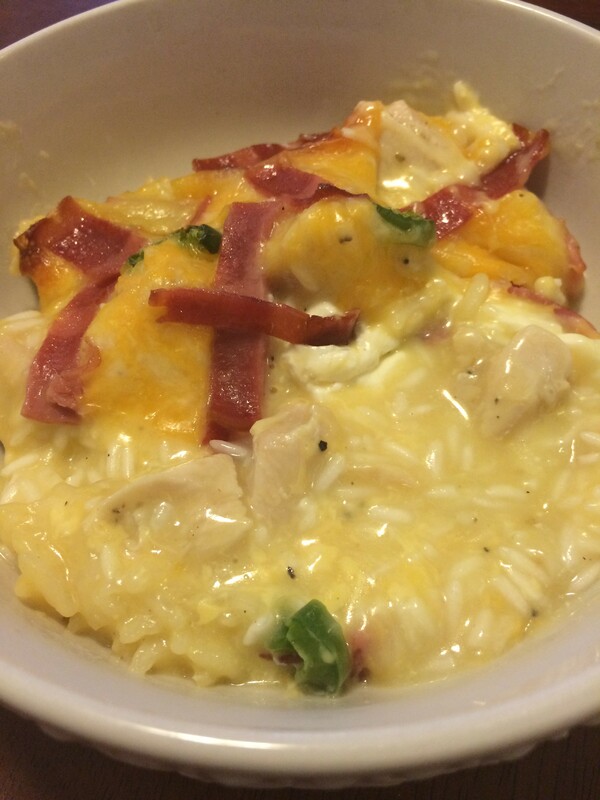 There is something so delightful about the spiciness of the jalapeno, the creaminess of the cheese and the saltiness of the bacon that makes my mouth water just thinking about it, and this recipe combines everything I love about a jalapeno popper with the heartiness of a classic chicken and rice casserole. Cheesy chicken and rice casserole is something that frequents my menu at least once a month, whether it be on the school menu or in my month of meals, but I love this dish because it’s quick, easy and all of the ingredients required to make it are probably already in your pantry or fridge. This recipe is easy, and everything is mixed in one dish. I like to use leftover chicken when making this casserole. It uses up leftovers and makes the preparation time for this meal even less. 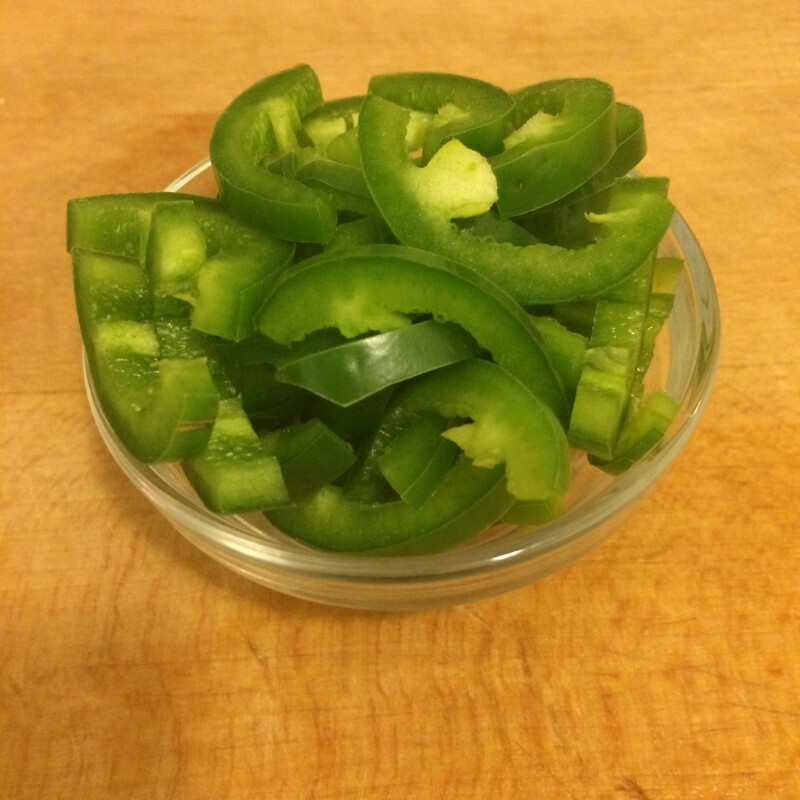 Prepare jalapeno by halving, seeding and slicing into thin strips. If you want it spicier, add more jalapeno. 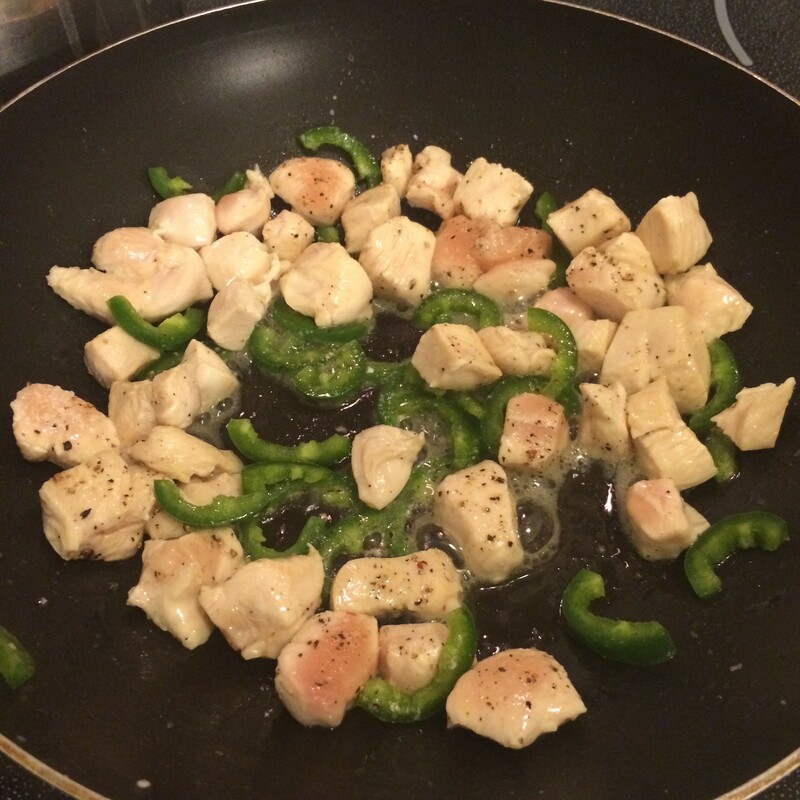 In a large skillet over medium-high heat, cook chicken and half of sliced jalapenos until chicken is no longer pink, and the jalapenos have softened – about 10-12 minutes. Remove from heat and set aside. If chicken has not fully cooked through yet, don’t worry, you will finish cooking it in the oven. In a large bowl, add rice, 1 cup cheddar cheese, cream cheese, chicken broth, spices, cream of chicken soup and cooked chicken and mix with a silicone spatula until well combined. 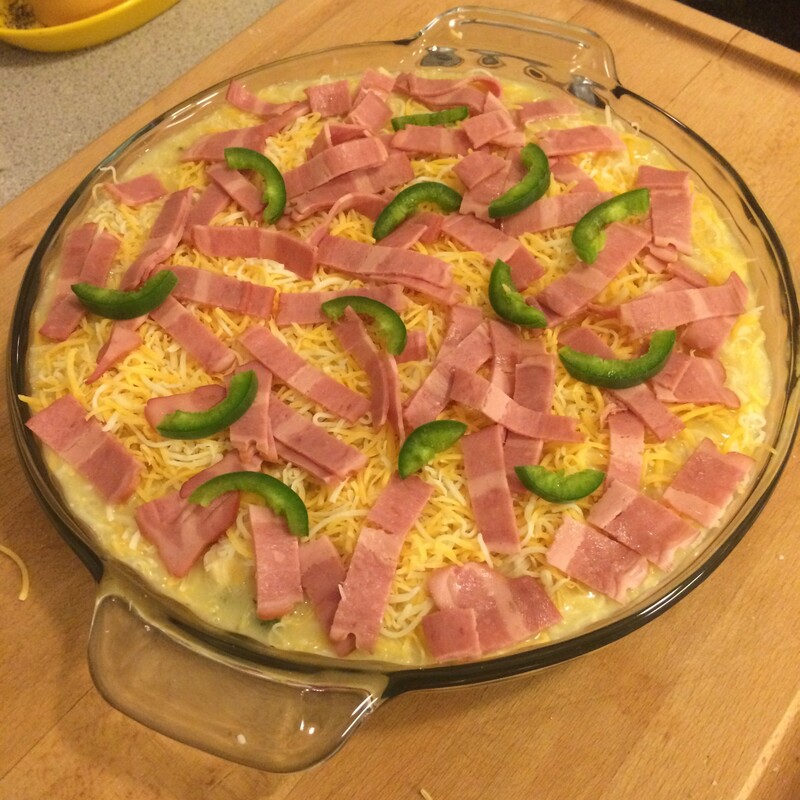 Pour rice mixture into a casserole dish or a pie plate, and top with remaining cheese, sliced bacon and jalapenos. Bake for 30-35 minutes or until the chicken reaches an internal temperature of 165 degrees and the rice is soft. If you prefer a traditional chicken and rice casserole, skip the jalapeno, chile powder, paprika, cumin and bacon and add 1/2 cup cubed velveeta to the party! 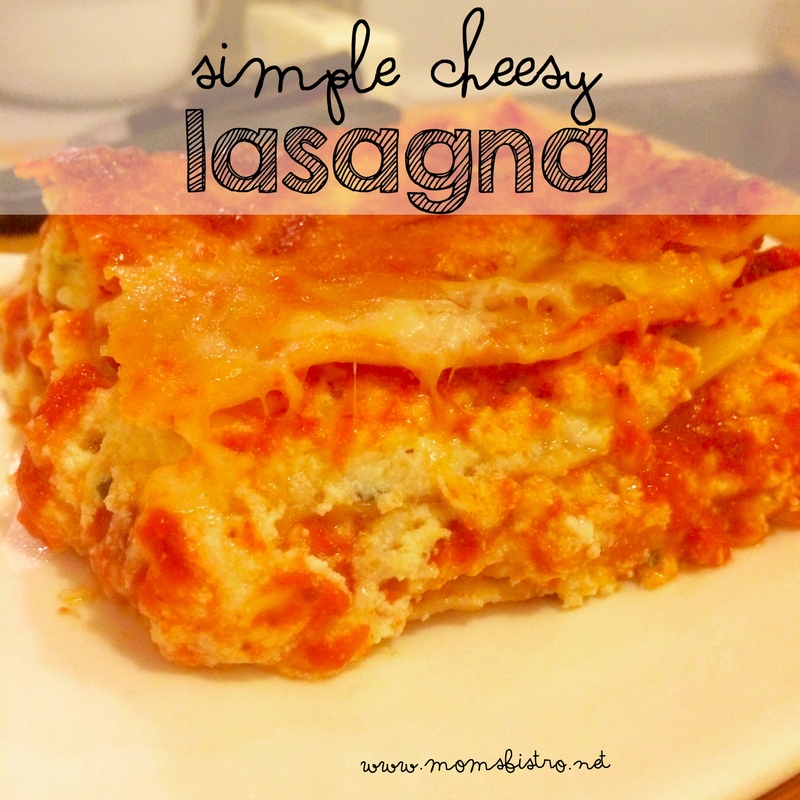 This is a great freezer meal too. Just be sure to thoroughly cook chicken before freezing. 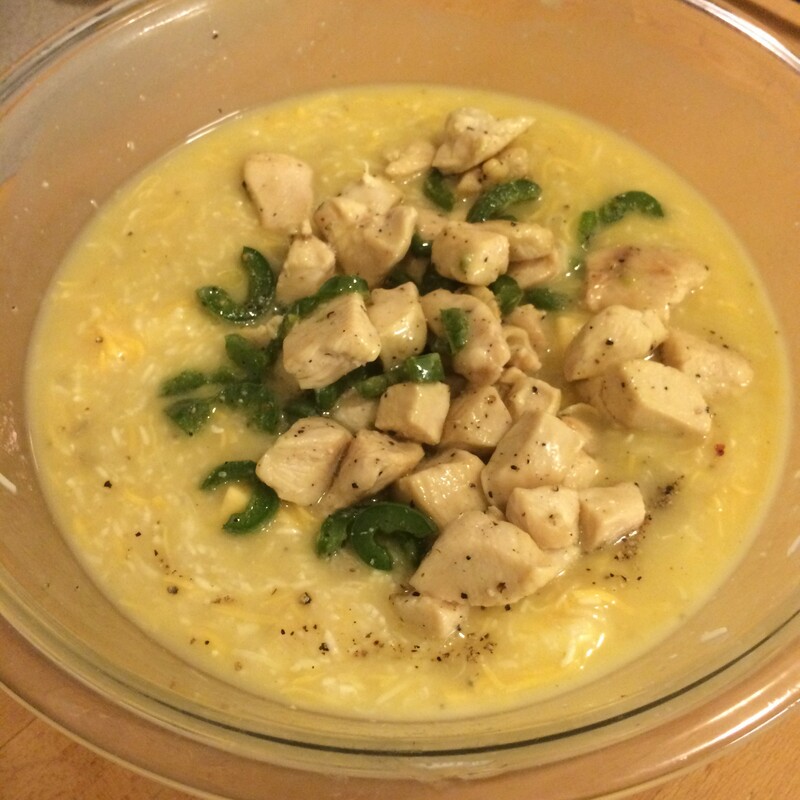 Frozen chicken and rice casserole should be cooked at 375 degrees for 60 minutes.